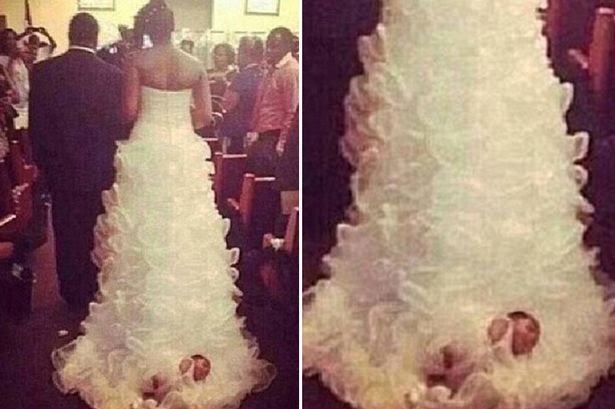 A bride has sparked outrage after strapping her newborn daughter onto the train of her wedding dress as she walked down the aisle. Shona Carter-Brooks has defended the move saying the baby was 'awake and well-secured' and that she was 'covered by Christ'. She has since been attacked online for the bizarre wedding gimmick by hundreds of people, who were outraged when they saw the pictures she uploaded to Facebook. Some are even calling for her to be reported to child protection services. 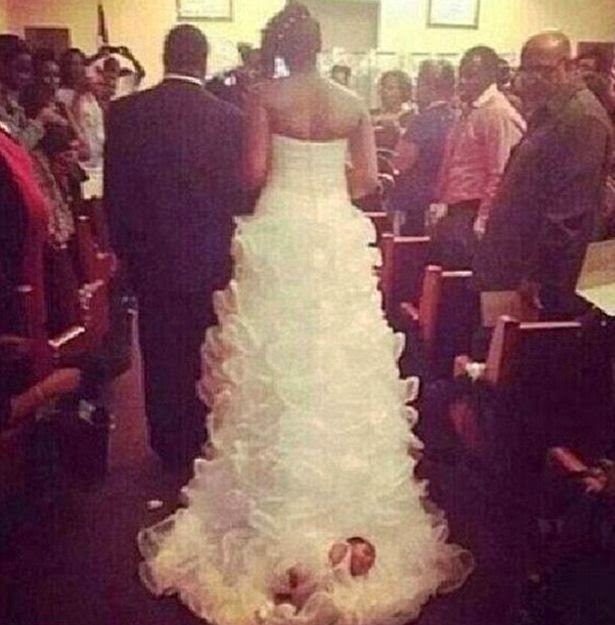 Mrs Carter-Brooks enlisted the help of her tiny baby at her wedding to Jonathan Brooks at the Elam Baptist Church in Ripley last month, who she somehow managed to fix into the back of her long trail. 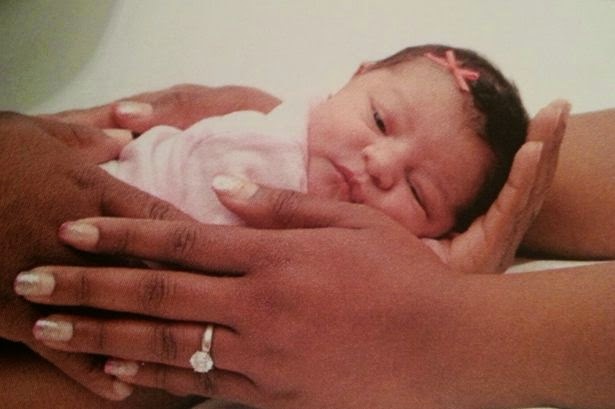 The couple, who live in Jackson, just outside of Nashville, are reported to have only welcomed their little girl, Aubrey, just a month before the ceremony. Her dress - which is believed to be part of Vera Wang's diffusion line, White by Vera Wang, costing anywhere from around $400 to $1400 - appears to have been altered to allow for the child. One person, who hit out on website Clutch, said: "I am sorry but if I would have saw that I would have gotten out of my seat and taken that baby. She posted on Facebook: "People questioning what we do, commenting all negative, and just doing the most. "We good though we covered by the Blood which will never loose (sic) its power. "Media Media I see how it works regardless the situation or purpose people gone (sic) have something negative to say!